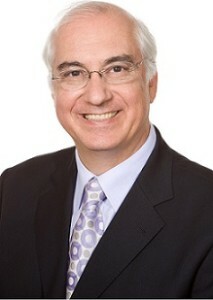 Carlos, as he's called in Argentina, is the author of Relationship Capital (Prentice Hall, 2002) and the creator of the 3D stimulation technology Play of Life®, which has revolutionised individual and team behavioural transformation and for which he received the Innovation Award by the ASGPP in New York 2002. 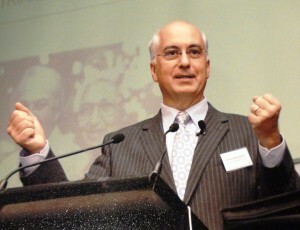 The captivating simplicity of his methodology facilitates change in people’s lives in an alive, sharp and useful manner by bypassing the neo-cortex and directly connecting with the limbic system; that part of the brain that deals with emotions, memory and sustainable behavioural change. Carlos and his methods are as much at home coaching the General Secretary of the OEA in strategic management as they with coaching Kiribati indigenous elders in the south Pacific. With over 20 years of international experience, an important aspect of his success lies in helping people to achieve their planned business goals, and to establish meaning and purpose in their personal lives. Carlos practical skills and tools to help people in management to clarify their vision, and facilitates them in effectively transferring that vision to the entire organisation through a new culture of communication. Utilising 3D and language-independent communication and other allied interactive methods, Carlos identifies the key resources necessary to achieve the business objectives. His experience helps him to focus on succession planning, training and recruiting the right people to get the job done. As work and life satisfaction increase for those involved with his methodology, staff turnover decreases -- as does absenteeism, accidents and costly mistakes. Organisations offering this level of employee satisfaction soon becomes a preferred workplace. His international experience and counselling career have enabled him to assist executives and their families, creating a flexible work environment that maximises productivity and efficiency. He has developed the management tool, Relationship Capital Index, which powerfully assists managers in increasing their effectiveness as leaders. This model includes job satisfaction surveys, practical “360 degree” appraisal systems, intra- and inter- departmental communication, and training workshops. Carlos' skills in interpersonal communication enables him to create practical HR systems and procedures that are outcome-focused, as opposed to bureaucracy-focused. He believes that every manager can be an agent of change, and he has developed practical workshops that coach managers and supervisors in managing people, thereby minimising time spent in interpersonal conflict and in external consultancy. Carlos’ background includes professional presentations at universities in Australia and in the US, in addition to directing workshops and training sessions for HR Managers for over twenty years. His education in Argentina, the US and Europe gives him a sound understanding of dealing with cultural issues, and a successful migration provides him with experience in facilitating change in people’s lives.